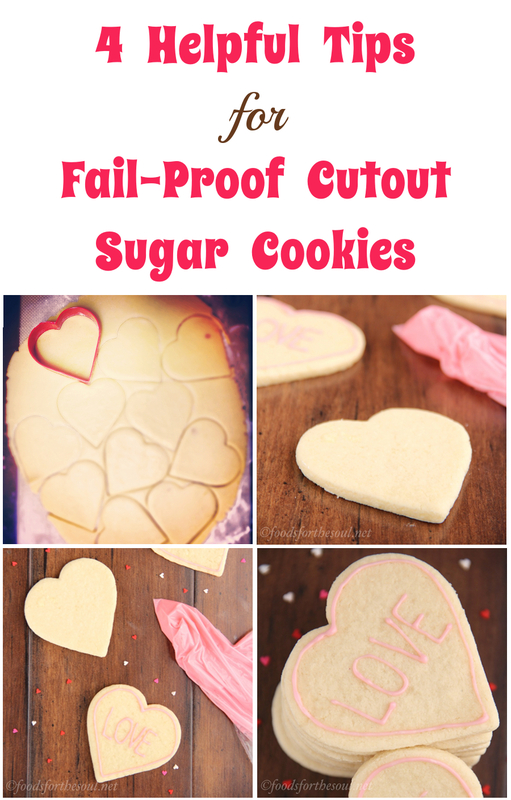 An easy recipe for roll-out sugar cookies that are secretly healthy! They taste just as buttery as classic ones but are much lower in fat and calories. Last week, I quickly darted into the grocery store to grab the ingredients for my strawberry cheesecake rice krispie treats. After dropping a jumbo-sized box of cereal into my basket, I strode over to the baking aisle to pick up the pudding mix. While I hurriedly scanned the overcrowded shelves, an elderly woman accompanied by a store employee approached the adjacent display. When I arrived at the produce section to cross “Brussels sprouts” off my list (we roast these every day! ), I nearly slammed my palm against my forehead. I completely forgot to toss marshmallows into my basket while on the baking aisle! I doubled back, and after nestling the package between my other boxes, I noticed the tiny old lady a few yards away, still studying a pouch of cookie mix. She accepted my card and responded, “Yes, I live with my daughter and she has one.” She glanced at the text, then back at me. “Amy, you’re an angel!” she exclaimed while wrapping me in a frail hug. I walked home positively glowing, a smile permanently etched on my heart. When I turn 93 years old, I still want to be baking cookies too! But as I started up the driveway, another thought crossed my mind. Those cookie mixes aren’t very good for you… I should develop my own recipe for healthy roll-out sugar cookies! Dozens of cookies later, I finally perfected my recipe. These little beauties are as easy as a premade mix—no electric mixer needed!—and taste just as buttery as your grandma’s traditional treats. With their rich flavor and soft texture, no one will ever guess they’re actually skinny and really low fat! These low-calorie cookies begin with the dry ingredients. Compared to regular drop sugar cookies, the roll-out variety generally require a bit more flour and a lot less baking powder. Too much baking powder creates a funny-looking bump in the center of your shapes, making them awkward to decorate. With a mere ¼ of a teaspoon, you’ll end up with perfectly smooth tops and just a hint of airiness inside. I also added cornstarch. As my secret weapon in many of my recipes, it creates irresistibly soft cookies. 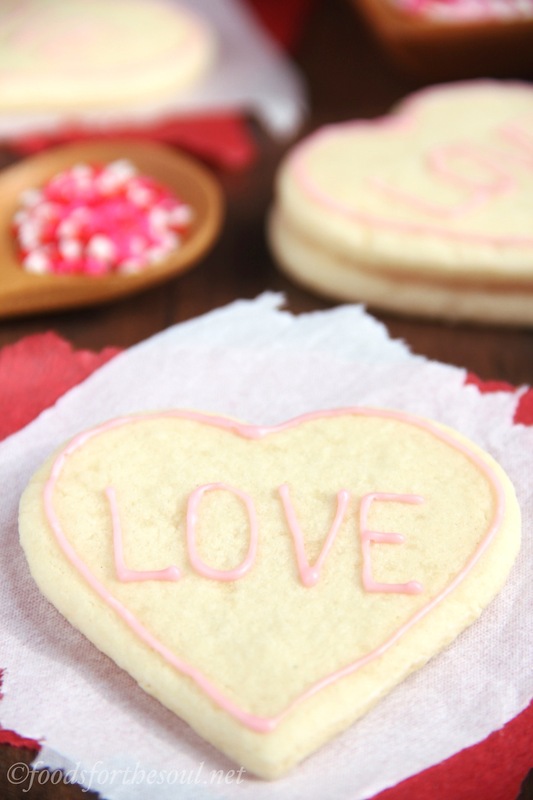 I prefer my sugar cookies firm with a little chew—not crunchy!—so I mixed in just ¾ of a teaspoon, which resulted in the perfect delicate texture. 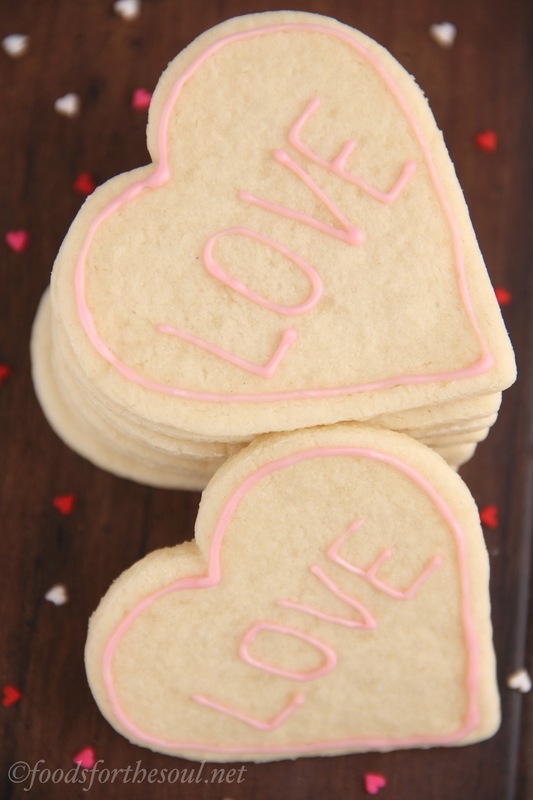 Classic sugar cookies typically contain 1 or 2 sticks of butter. That’s ½ to 1 full cup! I reduced the amount to a mere 2 tablespoons of butter, and I melted it to subtly increase the cookies’ chewiness (see here for details), as well as to eliminate the need for an electric mixer. The fewer dishes to wash, the better! Note: Make sure your melted butter cools and your egg warms to room temperature before mixing them together. If you add a cold egg to hot butter, it rapidly chills the butter and creates tiny spheres of solidified fat. My low fat recipe requires both vanilla extract and butter extract. The butter extract gives these treats the rich buttery flavor of traditional indulgent cookies without their excess fat and calories. I highly recommend buying a bottle! It’s shelf-stable and will keep for ages. With a fairly inexpensive price tag, you can find it at almost any grocery store, as well as Walmart and Target. I bounced back and forth between what sugars to use. I originally mixed in half granulated and half brown because brown sugar provides a slight caramel undertone to cookies in addition to a little extra chew. When I ran out of granulated on my second batch and substituted raw cane sugar instead, the cookies turned out freckly! The brown and raw cane sugars failed to completely dissolve, so in the final recipe, I omitted both and stuck with granulated sugar. Once you mix up the cookie dough, place it in the fridge for 1 hour. Chilling is mandatory! The cookie dough is too sticky to roll out after you first stir it together. However, don’t leave it for more than 1.5 hours; it’ll be too stiff and will crack under the rolling pin. 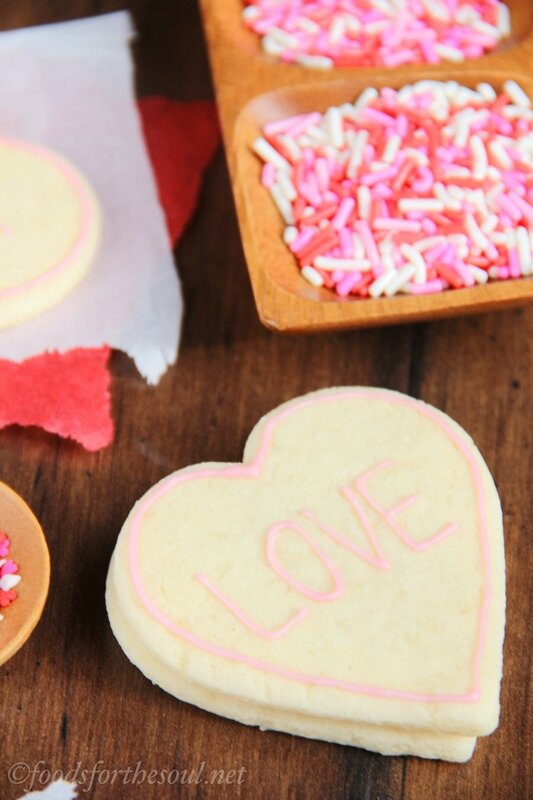 ♥ Use LOTS of flour. Cover your working surface with it, rub it into the rolling pin, and sprinkle it on both sides of the cookie dough. It’s easy to brush off any lingering flour from your cookie dough cutouts before placing them on the baking sheet, and you’ll avoid the frustration of peeling up cookie dough in stretched out, mangled shapes. 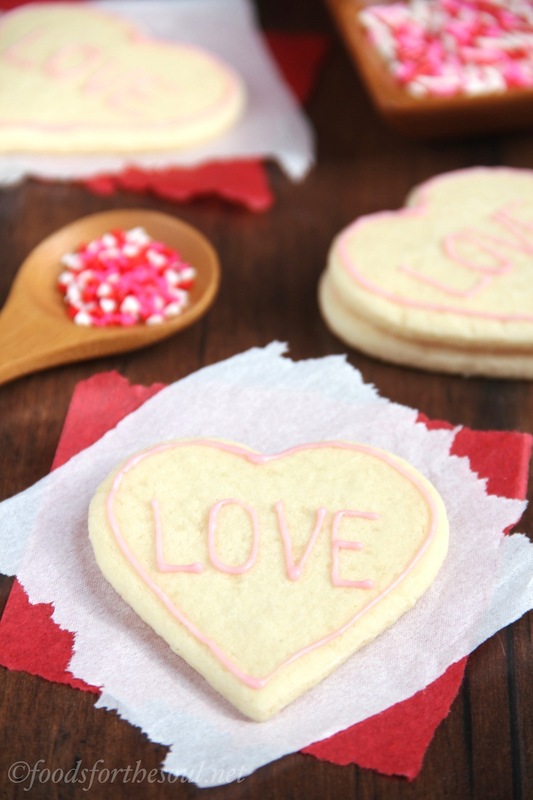 ♥ Flour the cookie cutter. Dip it in flour, shake off the excess, and press down. Repeat. You don’t want dough sticking to the cookie cutter either! ♥ Make cuts as close to each other as possible. This minimizes the amount of leftover cookie dough you need to reroll. Rerolled cookie dough contains more flour, which reduces its soft texture and increases the chances of crunchy cookies. 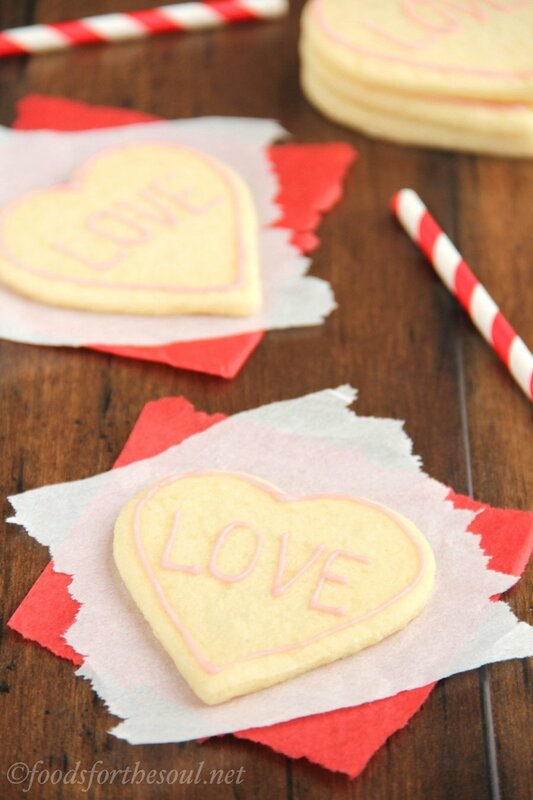 ♥ Peel leftover cookie dough away from the cutouts. NOT the other way around. Again, this reduces the likelihood of stretched out, mangled shapes. In my oven, the first round of rolled out cookies required a little bit more time. I baked them for 11-13 minutes to achieve that gorgeous pale, perfectly done color. The rerolled cookies finished in barely 9-10 minutes, due to their extra flour. These bake times resulted in the firm, barely soft cookies that I absolutely adore. However, this may vary depending on your oven and the thickness of your cookies, so keep a watchful eye on your pans to prevent burned crunchy ones! You only need 4 ingredients for this easy pastel pink icing: powdered (confectioners’) sugar, vanilla, milk, and a teensy tiny itty bitty drop of red food coloring. Basically the smallest amount you can possibly squeeze out of the bottle. Stir everything together, spoon it into a zip-topped bag, and cut off the corner before piping it onto the cookies. Draw whatever designs your heart desires; the sky’s the limit! 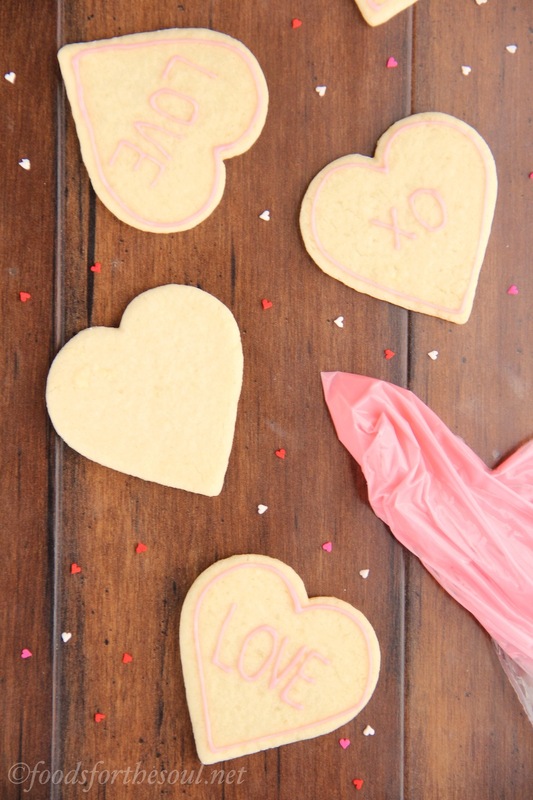 Guys, you are going to fall head over heels for these adorable Skinny Heart-Shaped Sugar Cookies. Warm buttery flavors fill every bite, completely deceiving all of my taste testers into believing they were the traditional fat-laden treats. 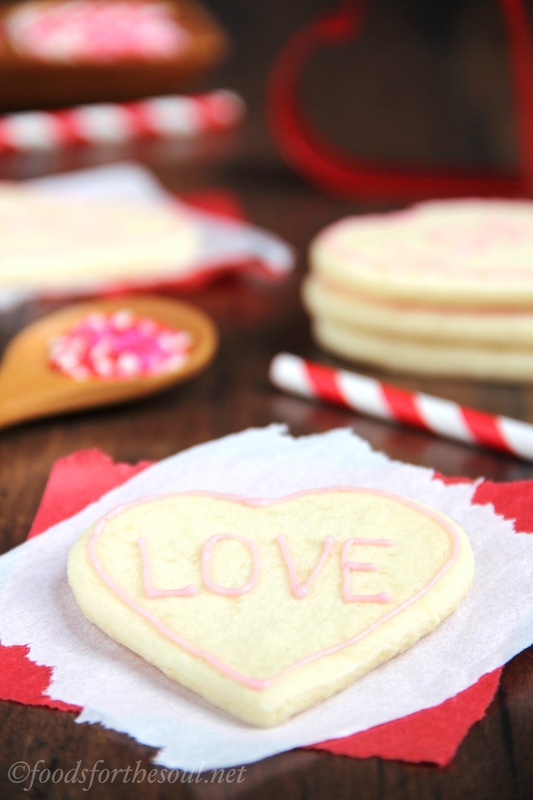 With their incredibly easy instructions and perfectly soft texture, you’ll never need another sugar cookie recipe again! As soon as I finished their photo shoot, I offered one to my guy, mentioning that I left the unused icing on the counter along with 3 undecorated cookies. He nibbled on that first one while I walked out of the kitchen, and when I returned, I found an entirely empty bag of icing. And not a single cookie in sight. 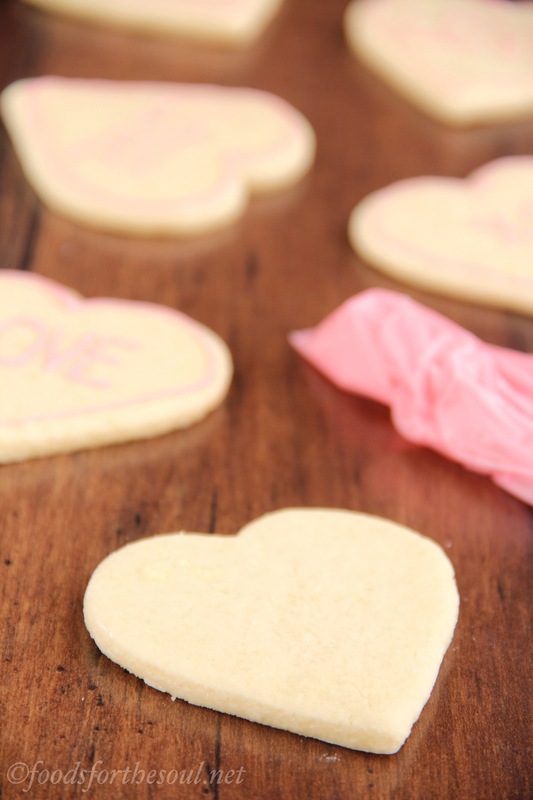 Yes, he polished off 4 of these skinny sugar cookies… And he doesn’t even like cookies! I absolutely positively promise you—they’re that good. 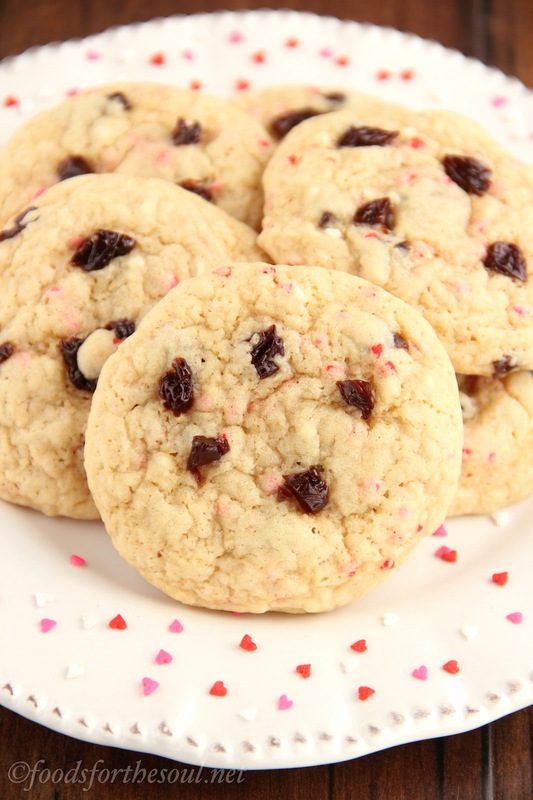 These cookies are so rich and buttery that no one will ever guess they’re low fat! They’re perfect for Valentine’s Day, or any occasion that you’d like to say, “I love you.” Store any leftovers in an airtight container for up to 5 days. To prepare the cookies, whisk together the 1 ¼ cups of flour, cornstarch, baking powder, and salt in a medium bowl. In a separate bowl, whisk together the butter, egg, vanilla extract, and butter extract. Stir in the sugar. Add in the flour mixture, stirring just until incorporated. Shape the dough into a 1”-thick rectangle. Tightly cover with plastic wrap and chill for 1 hour. On a well-floured surface, roll out the chilled dough until ⅛” thick. Lightly flour a 3” tall heart-shaped cookie cutter and press into the dough, making sure each heart lays as close to its neighbors as possible to minimize unused dough. 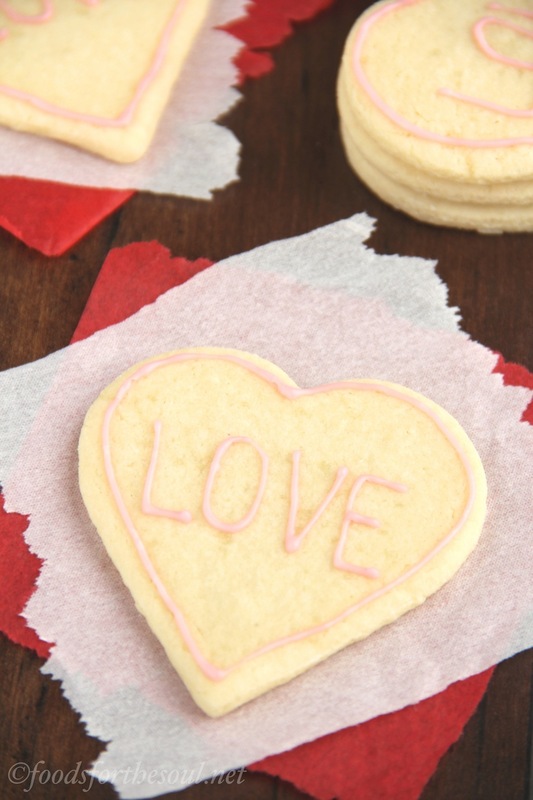 Peel the unused dough away from the hearts, and place the hearts onto the prepared baking sheets. Reroll the unused dough, and repeat. 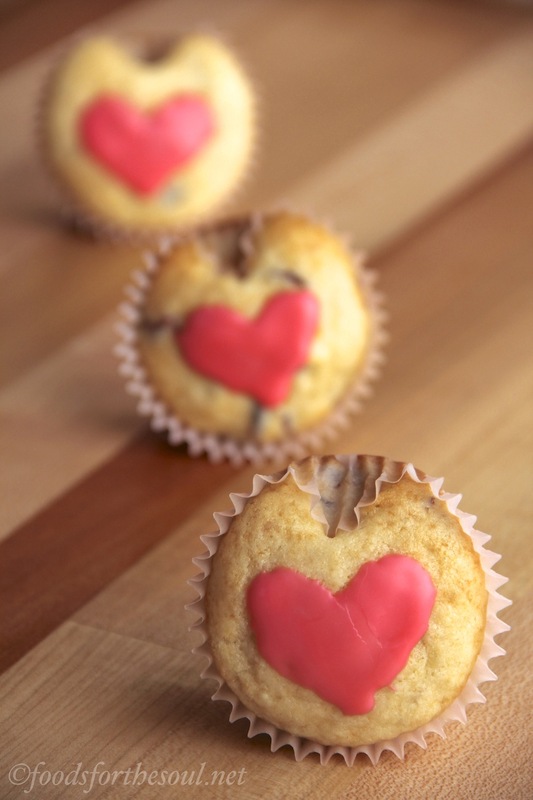 Bake the heart-shaped dough at 350°F for 10-13 minutes. (The rerolled dough generally requires a little less time.) Cool on the baking sheet for 5 minutes before turning out onto a wire rack to cool completely. To prepare the icing, stir together the powdered sugar, vanilla, milk, and food coloring in a small bowl. Spoon into a zip-topped bag, and snip off the corner. Pipe onto the cooled cookies. 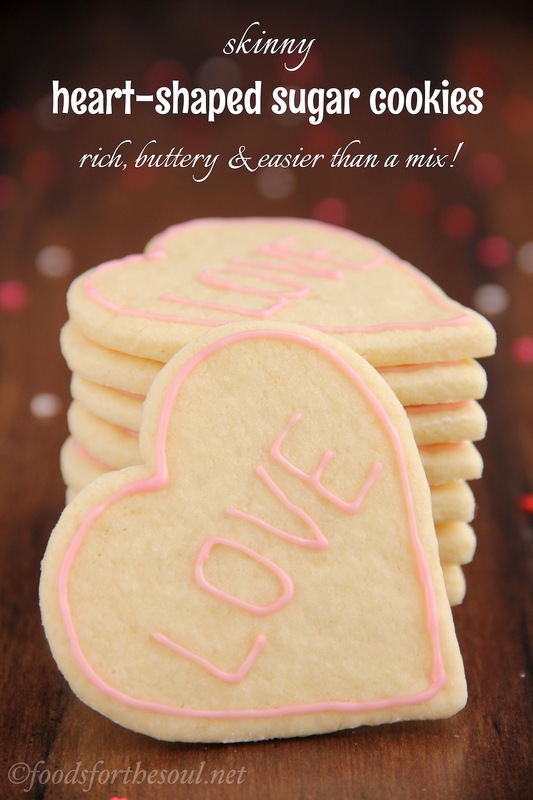 Notes: I highly recommend using butter extract because it gives them the stereotypical buttery sugar cookie flavor without the excess fat and calories. An additional 1 teaspoon of vanilla extract may be substituted in its place. The first round of cookies may bake slower (closer to 11-13 minutes), whereas the rerolled cookie dough seems to bake faster (9-10 minutes). Keep a close eye on your cookies because ovens do vary! For a clean-eating version of these cookies, see this recipe of mine! I was looking for a lighter cookie for my 11 month old twin grandchildren for Valentines day. Not too sweet, too much butter etc. these were perfect. I did not have the butter extract, so just used the vanilla. they are alittle bland that way, but perfect for the twins. The dough was very easy to work with. They were crisp yet soft in the middle. I used some pink sugar instead of icing since they were for Valentines day. I will definitely make again. I got 17 cookies, maybe the dough could have been a bit thinner. Your grandchildren are so lucky to have you as their grandmother Mary Ann! That’s really sweet that you wanted to bake them healthier treats for the holiday. They’ll definitely appreciate it when they’re older! 🙂 I’m glad you enjoyed the cookies! Thank you for such a clear step-by-step, healthier recipe! I live in China and love to have our university students over to bake. It’s often the first time they’ve baked ANYthing! Butter is expensive here, so a recipe with that reduced is not only healthier but easier for our tight budget. However, I don’t think butter extract is going to be easily available. Any recommendations for a substitute? I brought vanilla from the U.S., so that I do have. Thanks again! The university students are so lucky to have you LeAnne! I’d be thrilled to come over and bake if I were them. So fun! I already included an appropriate substitution for the butter extract in the Notes section. 🙂 I can’t wait to hear what you and the students think of the cookies! I’m so sorry – you sure did! I’ll give that a try! No need to apologize — the Notes are easy to miss! 🙂 I’m excited to hear how the cookies turn out for you LeAnne! It’s my pleasure Mary, and thank you so much for your kind words! The cookies may be a touch “heartier” in texture and have a more wheat-y flavor, but I think regular whole wheat flour should be alright. 🙂 I’d love to hear what you think of the cookies if you try them! I made these today; I substituted the regular flour for whole wheat and the granulated sugar for muscovado; also, instead of regular butter I used coconut butter so I scrapped the extracts since I believe coconut butter and muscovado pack enough flavor on their own. The cookies turned out amazing, they’re a fair bit more brown than yours but other than that they look pretty much the same texture-wise, they’re really nice and firm and taste great, I’ll be making these again for sure, and probably top them with fruit or a bit of chocolate. I’m so glad you enjoyed the cookies Alex! The brown color is most likely from the sugar that you used; nothing to worry about! 🙂 It means a lot to me that you think you’ll make these cookies again — thanks for sharing that with me! 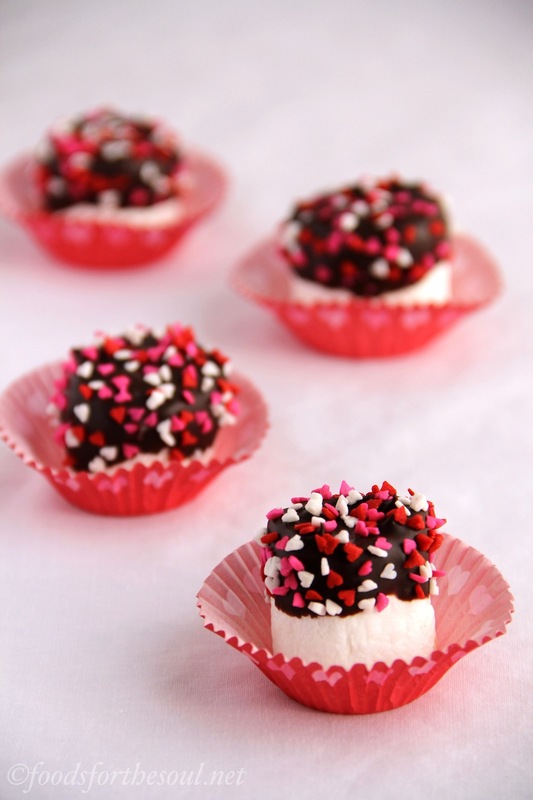 So funny you ask Réka — a chocolate version of these is actually on my to-do list! 🙂 I can’t guarantee it’s quite as simple as a one-for-one swap, but I’m sure you could play around with the ingredient amounts to get it to work (if you don’t feel like waiting until I get a chance to test it in my own kitchen! 😉 ). Oh I definitely do not know enough about baking to just “play around” 🙂 wouldnt know the first place to start! 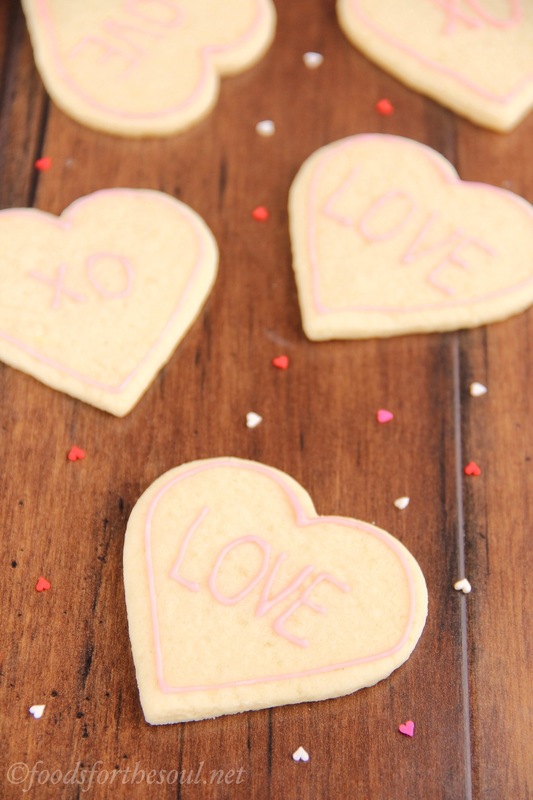 For your recipe on Skinny Heart-Shaped Sugar Cookies. Can I use the tub version of I Can’t Believe It’s Not Butter? Or would I need to change another ingredient also. This will be a surprise for my wife. She can’t have the butter in her diet. You’re so kind to want to make these cookies for your wife, John! She’s so lucky to have you. 🙂 If you have stick-style margarine, that will work better — but if tub-style “I Can’t Believe It’s Not Butter” is all you have, then it should be okay. Just be careful when melting it if using a microwave! It tends to pop and explode, so I recommend doing it on the stove instead. 😉 I can’t wait to hear what you and your wife think of these cookies! Can you substitute Stevia powder for the granulated sugar? I really appreciate your interest in my recipe Laura! 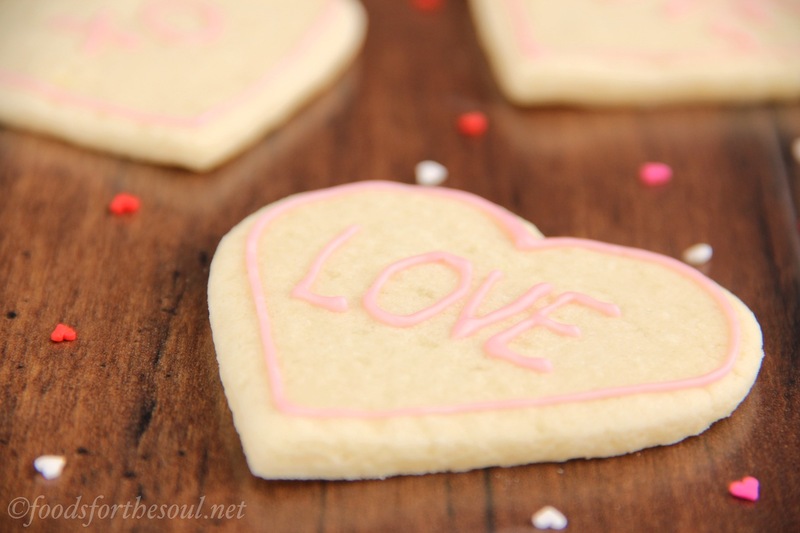 If you’d like to use stevia, then I actually recommend this other sugar cookie recipe of mine. That recipe uses stevia instead of granulated sugar! 🙂 I’d love to hear what you think if you try them!